A special two-hour MASTER class with beloved Soul Motion teacher and faculty to the Soul Motion Leadership Training - Zuza Engler. Zuza is in-residence at Madrona during the 2nd Soul Motion Leadership Training module. A world re-known facilitator of Soul Motion, she comes to us from her home teaching ground which is based out of Sebastopol and San Francisco, California. This offering will replace the regular SoulFull Sunday Class taught by Aletia Alvarez. It is an invitation to dance with the 2013/2014 Soul Motion Leadership Training group. Worth a drive from the surrounding area to take in the facilitated dance space - promising to be a spirited half day of transformation. 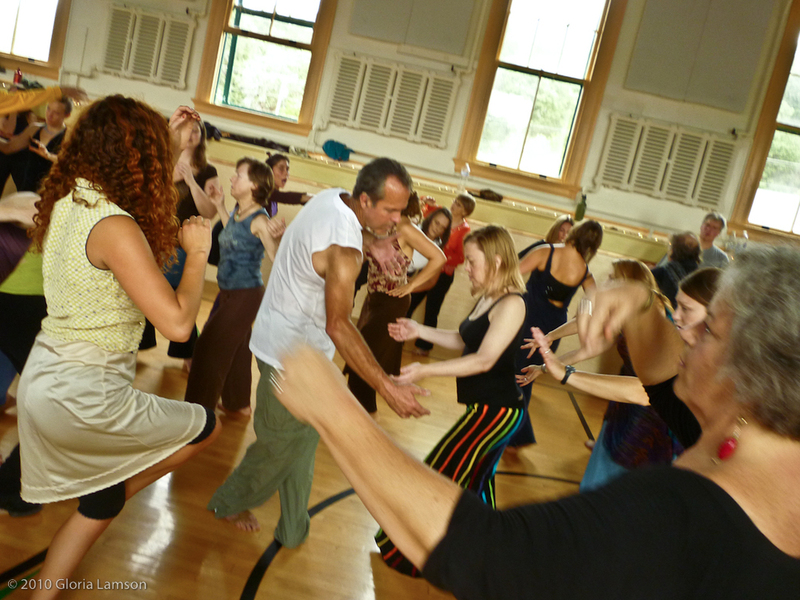 You will be dancing with Soul Motion practioners from around the world in residence at Madrona for the Soul Motion Leadership Training - this is their second training module out of three. Join in on this diverse mix of enchanting dance folks. Soul Motion, designed by vinn martí, is a practice of paying attention and waking up, together, to the physical reality of a body in motion, and the spiritual reality of the Presence that moves us. It’s a dance at the crossroads of the vertical drop into self and the horizontal extension toward another. There are no steps to follow, just the whimsical path of endless self discovery. Special Week of Soul Motion Classes!! There will be a series of classes taught by the Soul Motion Apprentices who are attending the Soul Motion Leadership Training this week.